Several popular Biblical Archaeology Review contributors were recognized at the 2012 Irene Levi-Sala Annual Research Seminar in Beer Sheva, Israel. The prestigious book prizes are given “to encourage and reward high-quality publications, both scholarly and popular, on the archaeology of Israel against the wider context of Near Eastern history and archaeology.” The book prizes are dedicated to the memory of Dr. Irene Levi-Sala, an archaeologist who was dedicated to the history and culture of Israel. 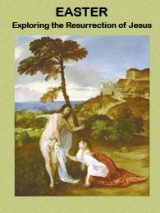 Authors including Ronny Reich, who was awarded one of the book prizes for Excavating the City of David (recently published by the Israel Exploration Society) have articles featured in various issues of Biblical Archaeology Review. Also receiving one of the Levi-Sala book prizes was Silvia Rozenberg, whose work on the Hasmonean and Herodian palaces at Jericho was also published by the Israel Exploration Society. Biblical Archaeology Review author Lawrence E. Stager also received one of the Levi-Sala book prizes, along with his co-authors Daniel M. Master and J. David Schloen for their work on Ashkelon in the 7th century B.C.E. The editors and staff of Biblical Archaeology Review would like to congratulate all the authors on their awards and commend them for their significant contributions to Biblical archaeology and scholarship. 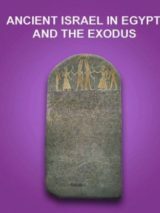 Likewise, the Israel Exploration Society is to be commended for their work in publishing high quality books on the history and archaeology of history. We are delighted that several of our contributors have been honored with the Levi-Sala book prizes and we look forward to seeing more of their work in the future. Several authors whose work appears in the Biblical Archaeology Review have received the Levi-Sala award for books on the archaeology of Israel. The books, two of which were published by the Israel Exploration Society, received the book prizes in recognition for their exceptional scholarship and significant impact on archaeological studies.